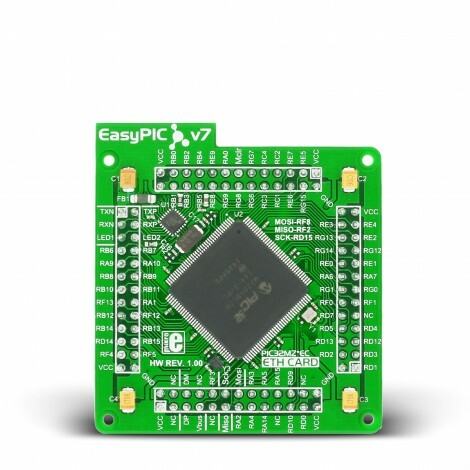 This particular EasyPIC FUSION v7 ETH MCUcard contains the PIC32MZ2048ECH144 microcontroller with on-chip peripherals and is a great choice for both beginners and professionals. After testing and building the final program, this card can also be taken out of the board socket and used in your final device. 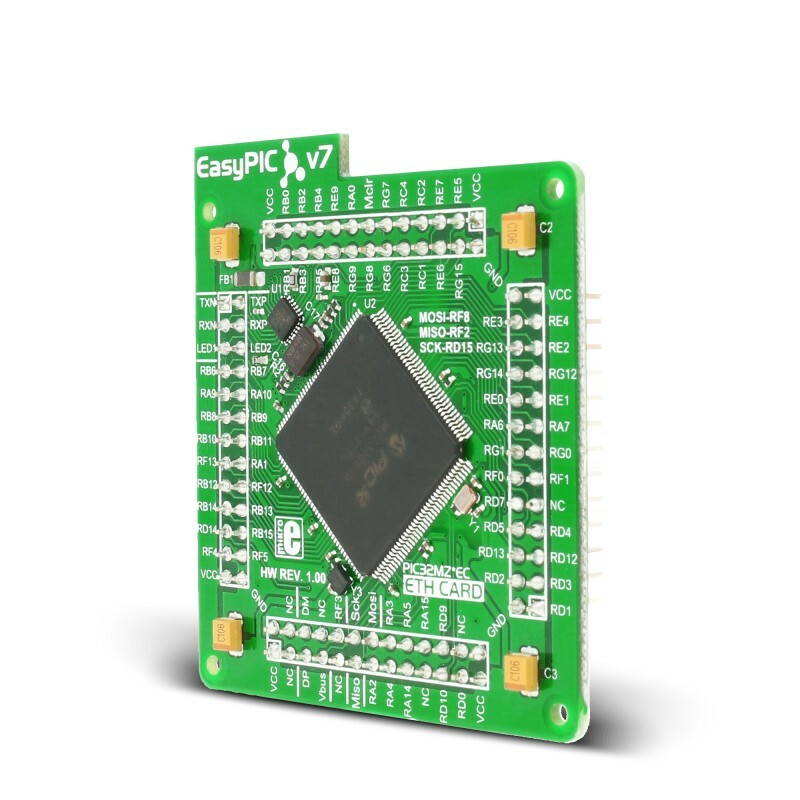 PIC32MZ2048ECH144 - a 32-bit MCU with 512 KB of SRAM and 2MB of Flash, 200MHz maximum frequency, an internal oscillator, audio and graphic interfaces, Ethernet and more. 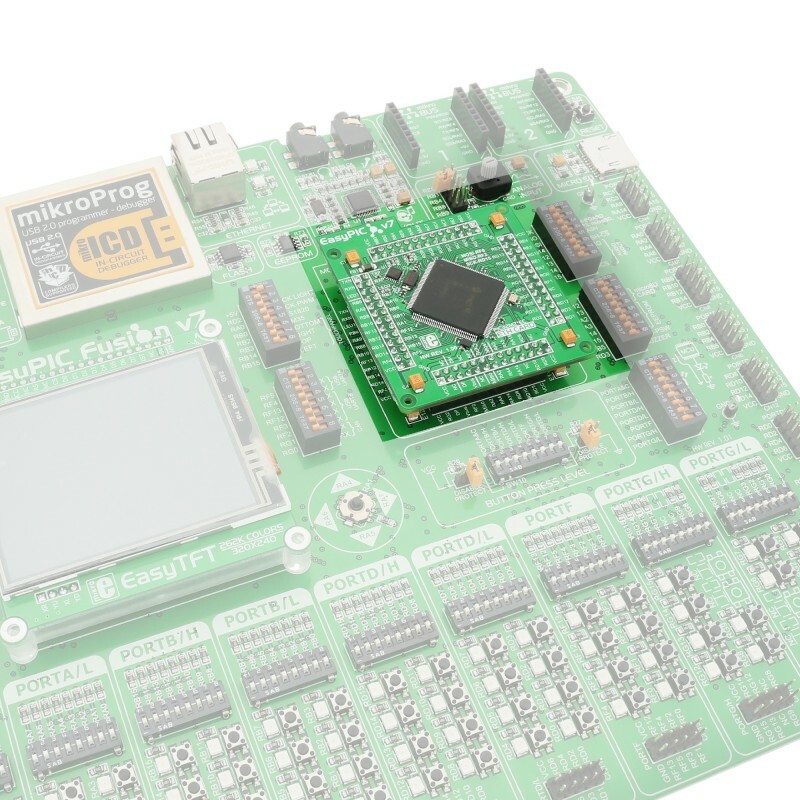 The MCU also contains an internal RTC (Real Time Clock), a 10-bit ADC and a Crypto Engine with an RNG for data encryption/decryption and authentication (AES, 3DES, SHA, MD5, and HMAC), etc. 24MHz oscillator — Provides the clock frequency for PIC32MZ2048ECH144 MCU. 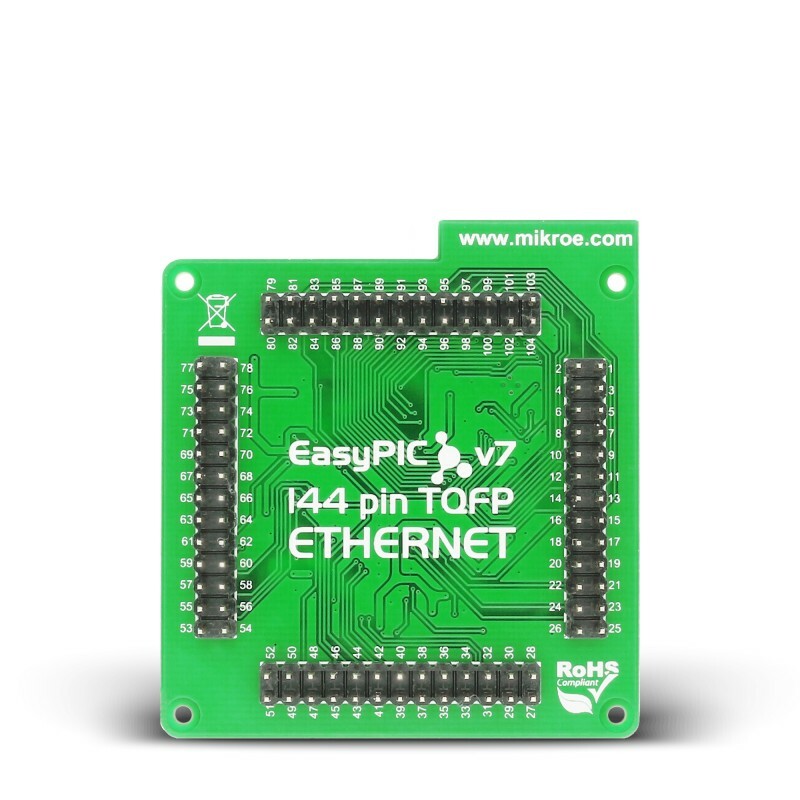 Ethernet transceiver —This MCU card contains single-chip Ethernet physical (PHY) layer transceiver which provides additional Ethernet functionality to the PIC32MZ2048ECH144 controller. Compliant with IEEE802.3/802.3u (Fast Ethernet) and with ISO 802-3/IEEE 802.3 (10BASE-T).